The prevalence of button-free, touchscreen phones has helped us all to come to terms with the idea of interacting with devices using touch rather than a mouse and keyboard. 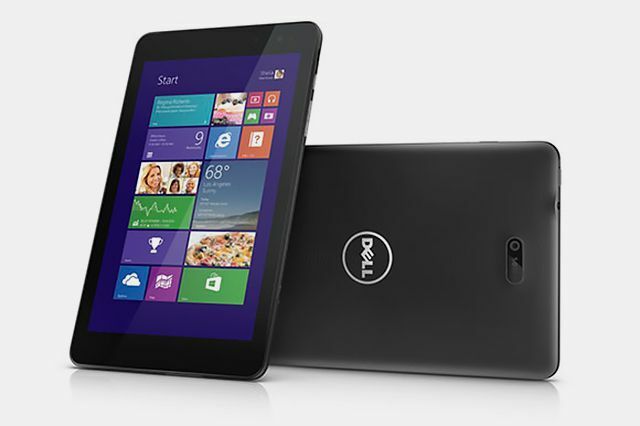 There is a burgeoning market for Windows-based tablets, laptops, and convertibles. Windows has long been a touch-friendly operating system, but it is only since computers such as Microsoft Surface and Surface Pro range — as well as other portable devices — become more widely available, that touchscreen interaction really took off. Microsoft has played a large role in increasing interest in touchscreen computers thanks to the new features to be found in Windows 8.1. The latest version of Windows puts a strong emphasis on giving users options. If you're a mouse user, there are plenty of ways for you to interact with and navigate through things. Equally, if you have a preference for keyboard shortcuts, Windows 8.1 makes it easier than ever to get around. But there are also a lot of touch options to work with. Whether you are using a Windows RT tablet, a Surface Pro, a convertible laptop, or a computer with a touchscreen monitor, there are a number of new techniques to learn. In many regards, interacting with Windows using touch is fairly intuitive, particularly if you are familiar with Android, iOS or Windows Phone on a mobile device. For example, where you would normally single click an item with a mouse, you can instead tap once on the screen with a finger; a double click is replaced with a double tap. What may not be immediately obvious is how to right click on a file, folder or other items. All you need to do is tap and hold. Place your finger on the screen for a second or so; remove your finger and a right click action will be performed. These simple tap methods cover the most basic forms of interaction with Windows, but there are more things to consider. Whether you're browsing the web, reading a PDF file or navigating through a document, you'll need to be able to scroll. When you use a mouse you've probably made use of a built-in scroll wheel. Of course, there is no scroll wheel built into a display, but you can still swipe up and down on a document, website or folder full of files to browse up and down as required; swiping in other directions is also possible in many circumstances such as browsing around Google Maps or large image files. There are gestures that can prove useful as well. If you find that it is awkward or slow to tap and hold to emulate a right click, you can instead tap with two fingers to achieve the same results. As you have probably become used to with your mobile phone, a two-fingered pinch gesture can be used to zoom in and out of a page, document or image. Place two fingers on the screen at the same time and then move them towards each other to zoom out, or away from each other to zoom in. But what many people find most difficult to get to grips with, particularly if they are moving from an older version of Windows, is how to interact with the modern elements of Windows 8.1. This can take a little getting used to, but once you have spent the time learning them, they can be real time-savers and you'll find that you are able to fly around the operating system very quickly. One of the most useful features of Windows 8.1 that you will need to access is the Charms bar, and this can be pulled into view by swiping in from the right-hand edge of the screen — place your finger at the very edge and swipe to the left. While the release of Windows 8.1 Update introduced new ways to interact with modern apps, touch is still the best method. Closing a modern app takes nothing more than a swipe down from the very top edge of the screen and dragging the app off the bottom of the screen. If you would like to run two modern apps side by side, drag down from the top of the screen, and keep your finger on the screen. Move slightly to the left or right and release your finger when then app "snaps" to fill half of the screen. Switching between apps is also a simple affair. Swipe in from the left-hand side of the screen and you can quickly switch to the previously used apps by just releasing your finger. If you would like to choose which app you would like to switch to, swipe in from the left and then move your finger back towards the edge of the screen to bring up the app switcher from which you can make a selection with a quick tap — you can also access the Start button from here. Even if you are using a tablet that does not have a keyboard — or you are using a Surface or Surface Pro without the keyboard attached — there will be times when you need to enter text, whether to enter URLs into a browser or to type lengthier documents. Tap the keyboard icon that appears in the taskbar to bring up an on-screen keyboard — although on many devices you will find that a keyboard automatically pops up when you need to provide text input. Using the keyboard just requires you to tap the on-screen keys much like you would with a regular keyboard. There are different keyboard modes that can be activated by tapping the keyboard button to the lower right and then making a selection from the popup that appears. You can choose between a keyboard with a small set of keys, one with a larger set, one with a different and split layout, and handwriting recognition mode — this is something we'll look at in another article. Touchscreen Windows can feel a little strange to start with, but it soon becomes second nature.